Perhaps the most important trait that separates an empowered patient from one who is not empowered is the role of "active participant," as a fully participating partner on the healthcare team. Active participants are those patients who realize that when they begin to experience symptoms, or at the point where they recognize that something in their body isn't functioning correctly, it's time for them to actively seek answers and solutions in collaboration with other members of their healthcare team. To be an empowered patient, you must recognize yourself as the hub of the healthcare wheel. Each other participant is positioned at the end of a spoke, allowing them to work directly with you, and in concert with the other team members found at the other spokes. In fact, your role on the team is the majority role. Providers bring 50% to the partnership through their education and training. You, by yourself, bring the other 50%, through your lifelong knowledge of your body and what does - or does not - feel right to you. It's true that some patients find themselves too sick to play their own empowered part on their team. In this case, an advocate is invaluable and should be the first member of the patient's team. If you find yourself having problems coping with both your illness and your active role, it would be wise to find yourself an advocate to help out. Who Are the Other Members of Your Healthcare Team? The physician and her staff of assistants are the first and most important resources you, the empowered patient, will have. 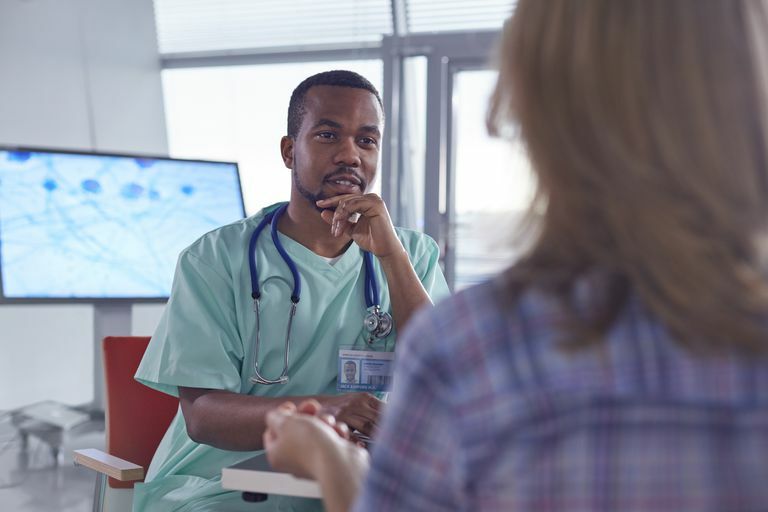 Working in collaboration with your doctor, perhaps a physician's assistant or nurse practitioner, the nurses, and others in the doctor's office will provide you with much of the information you need to make informed decision-making. Your pharmacist may be your next team member. While it will be the doctor or an assistant who provides you with a prescription for a drug or device, your pharmacist may know more about the clinical aspects of the drug. Your pharmacist can help you not only learn more about it but also how it fits in with the other drugs and supplements you may already take. Other patients may also be valuable to you. Empowered patients realize that sometimes the most useful information they can get will come from others who suffer from or deal with the same disease or condition they do. Other patients may help by sharing information about doctors and other providers, to providing advice for relieving side effects. There are some gatekeepers to diagnosis and treatment information who may also be valuable members of your team. From the Internet, which is vital, even though it's not a person, to your local librarian who can help you through some research hurdles, these gatekeepers are objective and have the background to get you the information you need. An insurance advisor can assist you when the bills come in and can advise you on other aspects of care, for example, whether or not you'll have to pay out of pocket for additional opinions about your diagnosis. An empowered patient keeps track of healthcare expenses and sometimes needs at least a customer service representative from his insurance company on his side. You won't often find medical advice from insurance companies, but you may find other, more practical advice about costs and coverage. Additional professionals might include surgeons, anesthesiologists, and second opinion doctors. Medical equipment distributors might include someone to advise you on which wheelchair will suit your purposes, or what type of oxygen tank is most portable. Don't forget that you, the patient, are the most important member of your own healthcare team. It is your right and your responsibility to participate fully in decision-making regarding your care. You are the one who knows your body better than anyone else does.